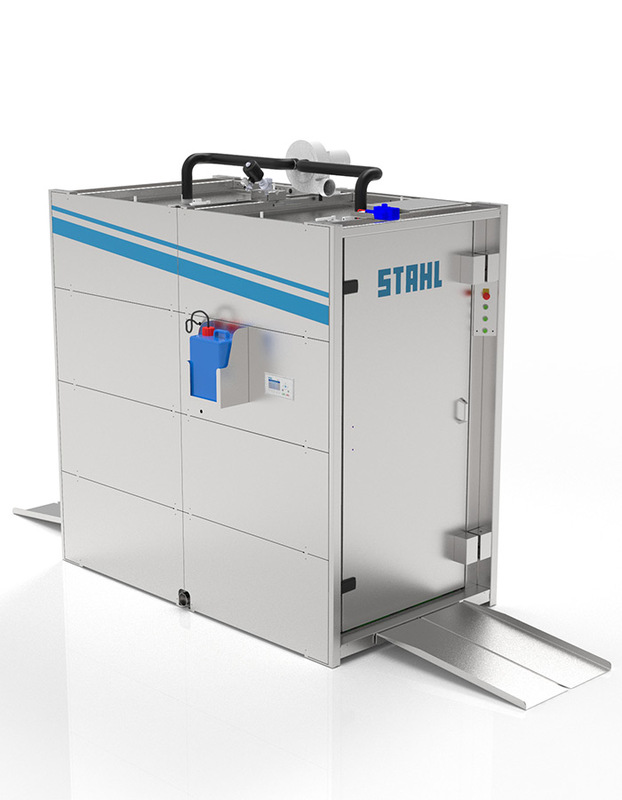 Disinfection Sluice from STAHL Laundry Machines for your securely and professionally cleaning and disinfection. All functions are centrally controlled by the FREEpro touch micro-processor control unit. The design is well-organised and ensures an easy operation of the machine. Recurring procedures can be saved, various values can be monitored on the display and features can be attributed to the work pieces.